A Quarter Horse is rim-lit by the setting sun - which gives a very warm color to the picture. Called "sweet light". 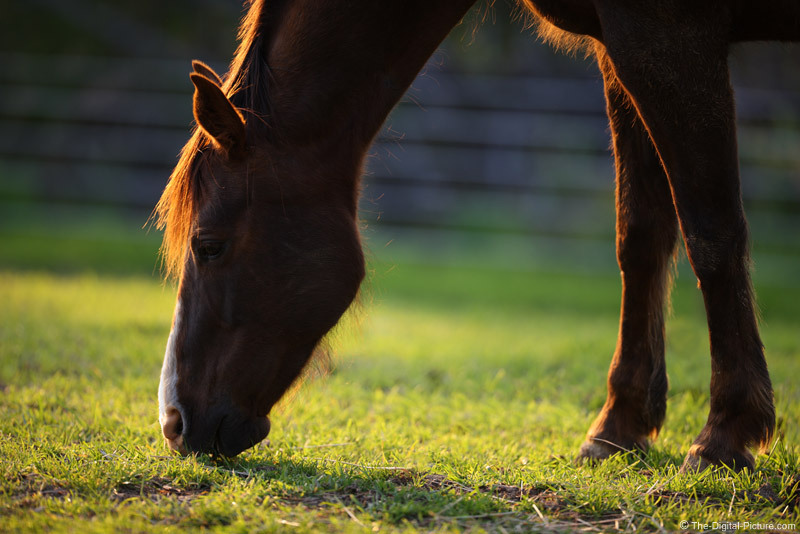 This lens is handholdable at much lower shutter speeds, but horses are never still when grazing. The higher shutter speed was necessary to stop the action.